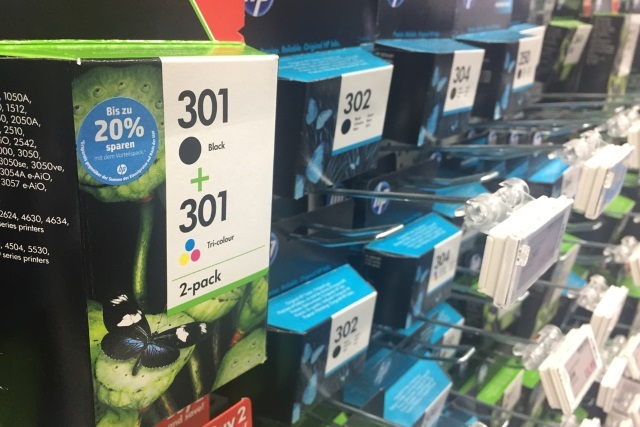 HP is pushing out a firmware update to its range of Officejet printers that blocks the use of the third-party ink cartridges. This is not the first time the company has issued such an update as it tries to force printer owners to buy its own, more expensive cartridges. A year ago, HP faced strong criticism from the Electronic Frontier Foundation for implementing DRM that forced users to buy official ink. At the time HP saw the error of its ways and backtracked on the third-party ink ban, but now the company is having another crack of the whip. HP's "Dynamic Security Feature" is back to block your cheap ink, but there's a way around it. Go to HP's support page and search for a firmware update for your printer model. Download and install the new firmware.